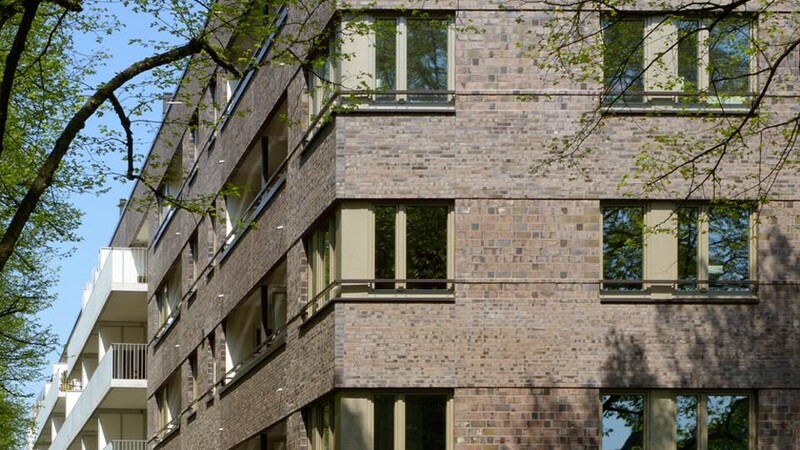 As the result of a competition with five participants, a housing area is being developed in Hamburg-Ottensen with 202 residential units for sale or rent, complete with underground parking. 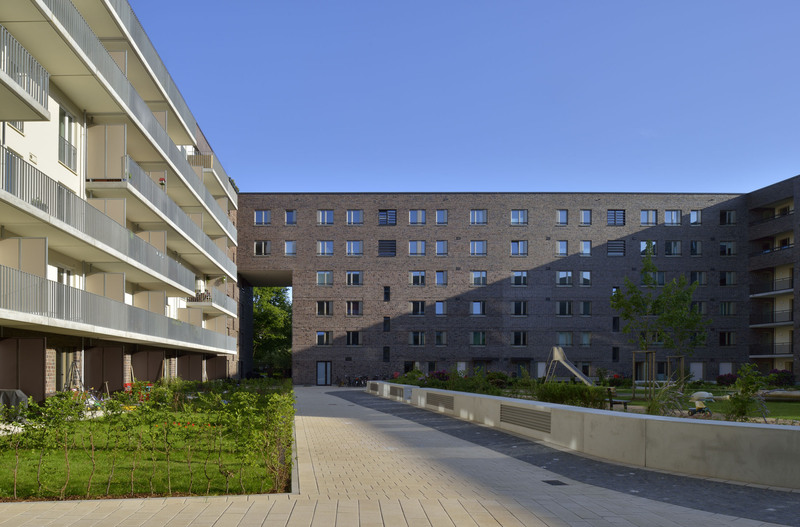 The development consists of thirteen houses and forms a trapezoidal block perimeter around a central, shared courtyard. 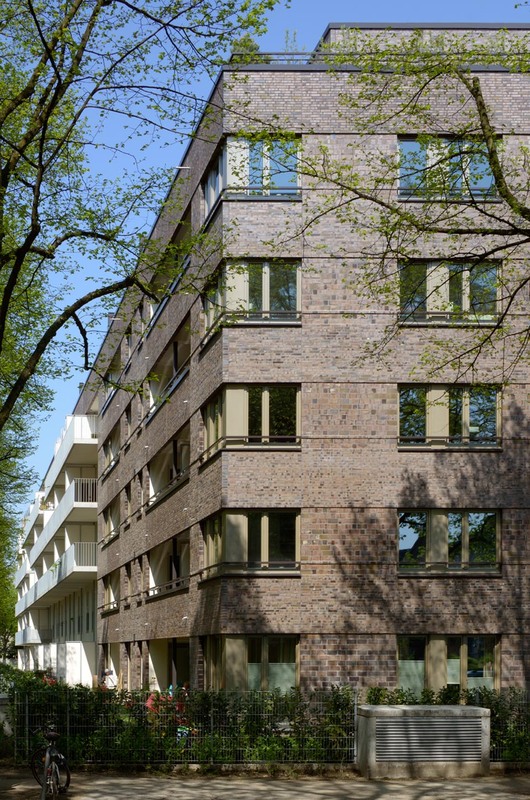 Through varying building heights, terraced top floors and bridge-like superstructures, the building is tiered horizontally. 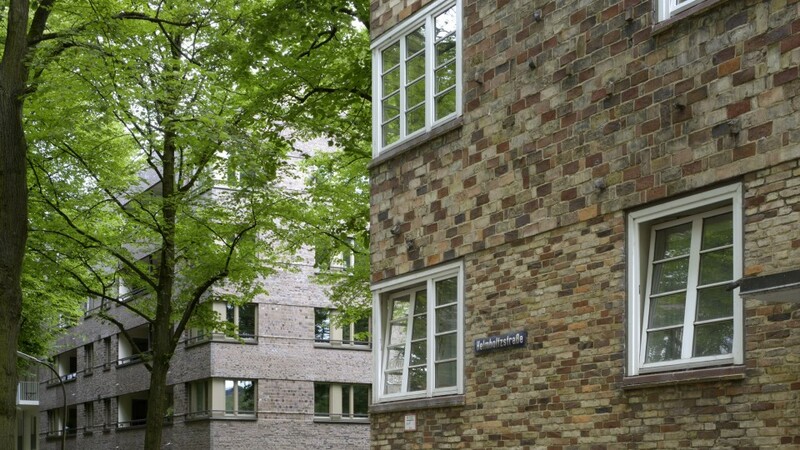 The exterior provides a contemporary interpretation of the surrounding listed residential buildings designed by Gustav Oelsners from 1926/27. 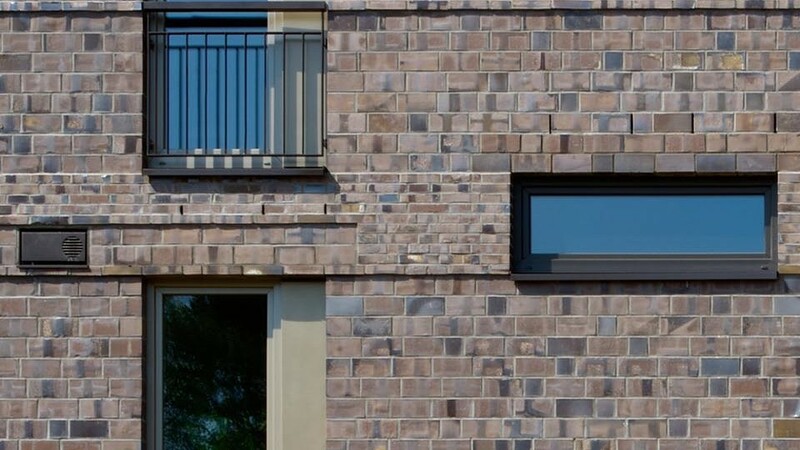 The outer wall is tiered by using bricks of varying sizes and depths. 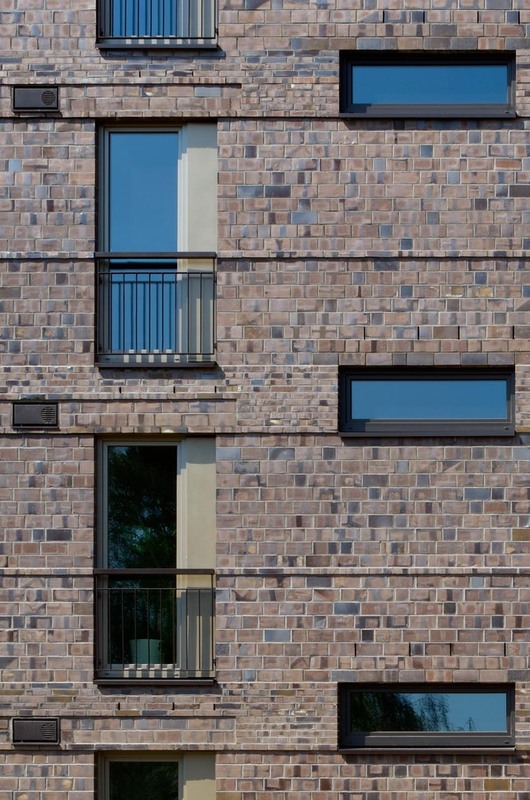 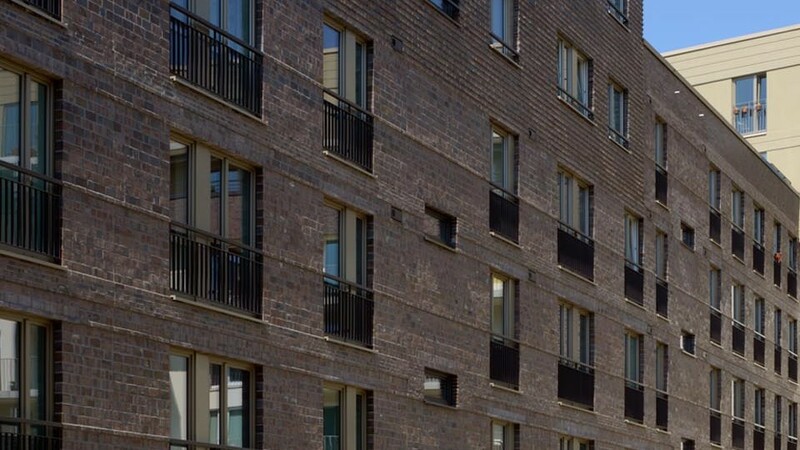 An additional contrast to the brickwork is provided by plaster facades which help to further distinguish this compact building. 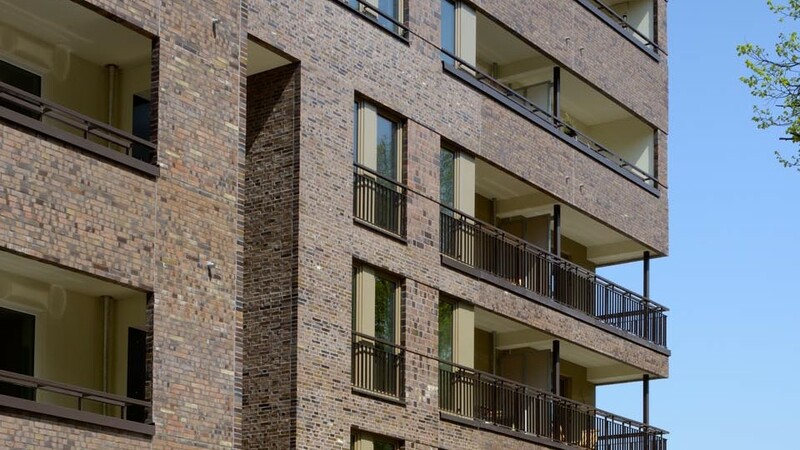 All apartments offer outdoor space in the form of loggias, spacious balconies, roof terraces or gardens. 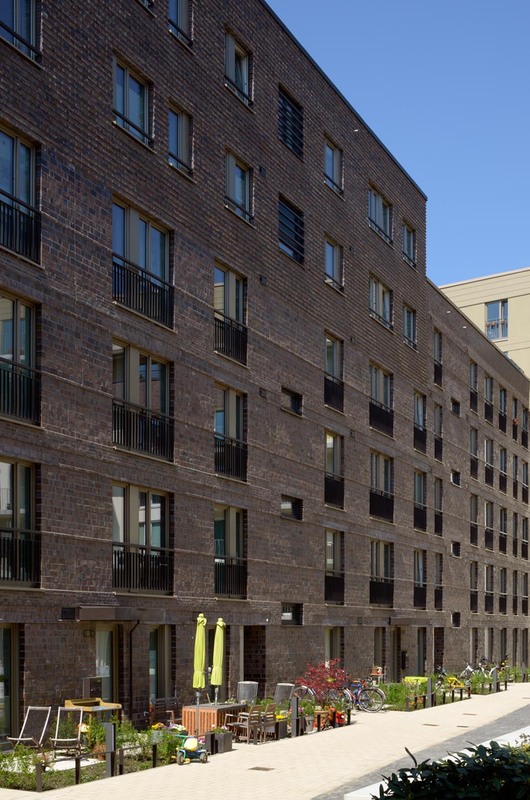 The family-friendly layout of the apartments adheres largely to the ‘open-plan’ design principle. 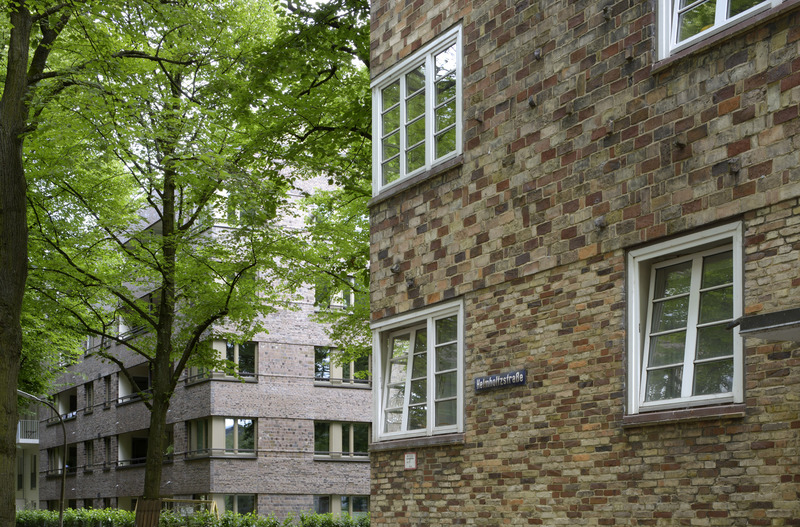 On the ground floor maisonette apartments are featured as townhouses. 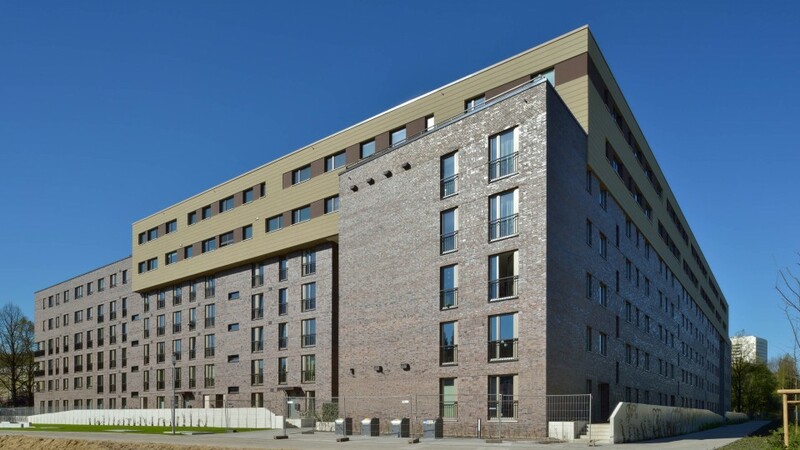 All structural details of the 82 apartments are planned to meet passive house standards. 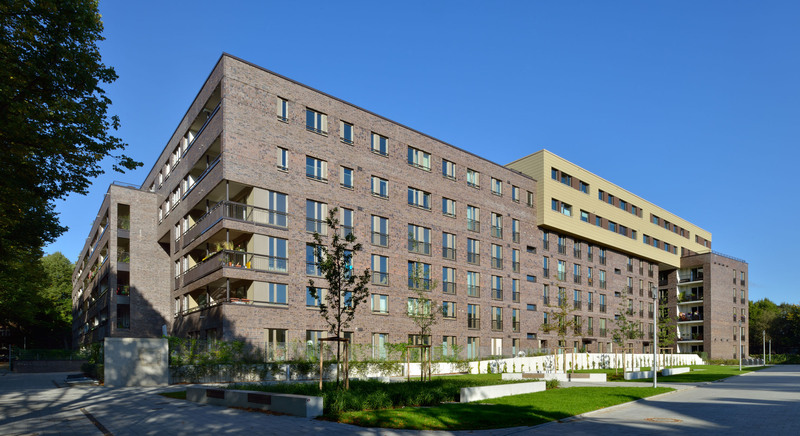 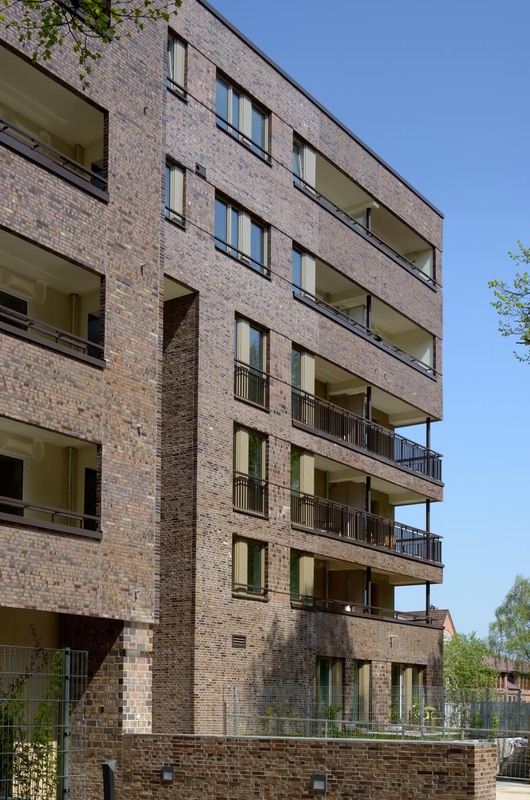 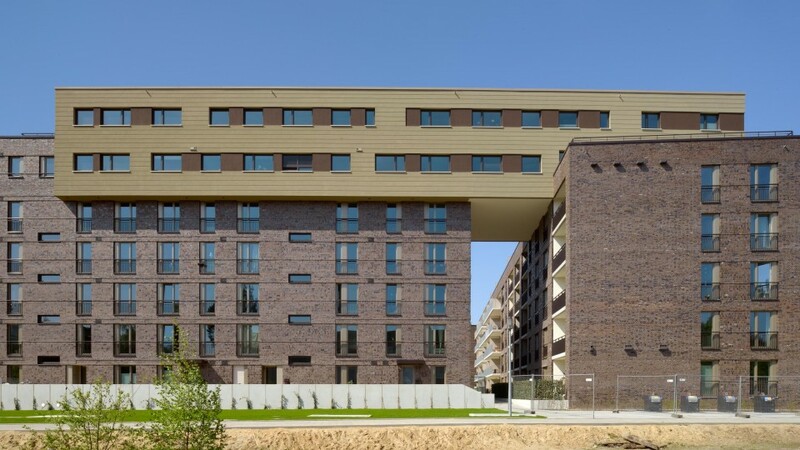 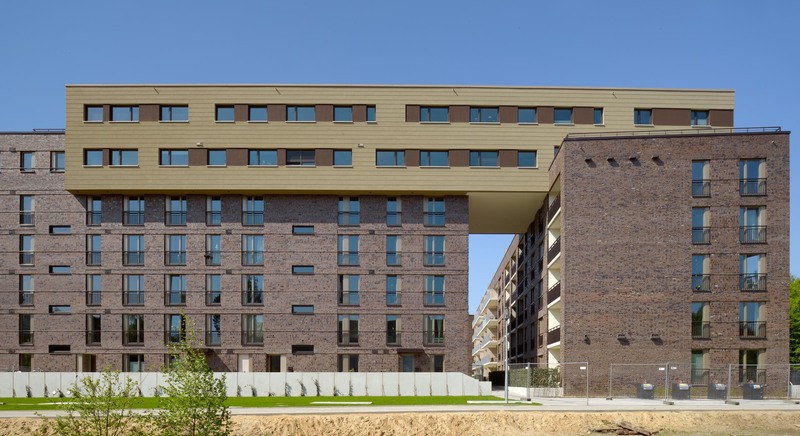 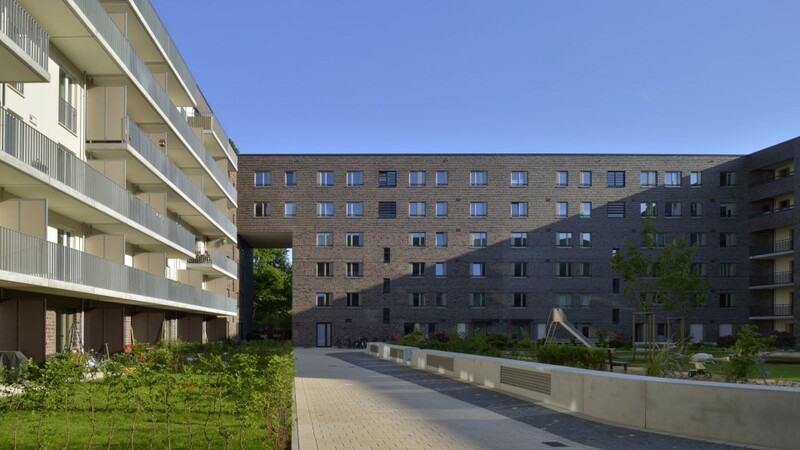 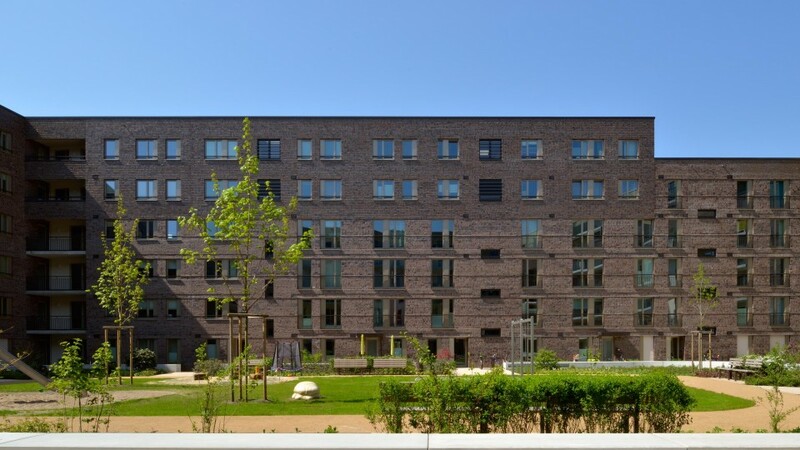 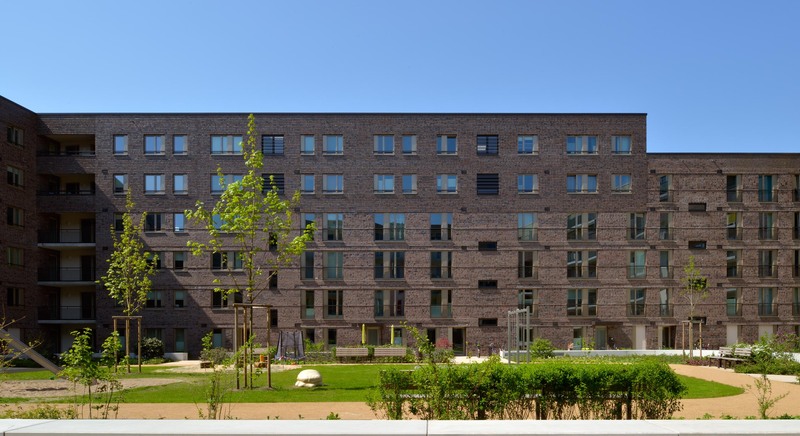 During the planning period, the project was regarded as one of the most energy-efficient and high-quality architectural construction projects in Northern Germany.